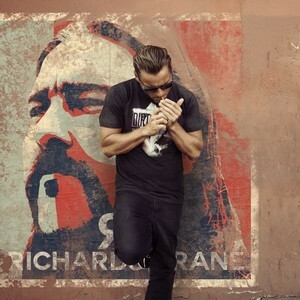 Richards/Crane shows once again hard-rockers know how to make touching and beautiful songs! Let’s start with the first eponym album of the band Richards/Crane! Cette entrée a été publiée dans Albums reviews, Articles Anglais, English post et taguée acoustic, acoustic song, Alter Bridge, Another Animal, band, bass, beautiful, big passion, Black & White, brand new, commentary, do I recommend it, Dropbox, electric, fans, featuring, festival, fr, france, Godsmack, grand gesture, grenoble, guitar, hard-rockers, have everything going for him, high quality, inspiration, instruments, Isère, leader, Lee Richards, Life of Agony, little beauty, lyon, Mass Mental, Medication, Music, musical sample, myles kennedy, new album, new delivery, new way to do, own identity, participation, percussions, PledgeMusic, production, reform, reformation, Rhône-Alpes, Richards/Crane, sign, singer, song, songs, style, Sunday, to go take a look, touching, track, Ugly Kid Joe, video, voice, vourey, what I think about it, Whit Crane, Whitfield Crane, who are they, William Whitfield Crane IV, without doubt, wonderful, writing.